We’ve always known that we wanted to open a dive centre in a local island, that we wanted to get away from the city and enjoy the calm pace of island life. The problem was knowing which island to choose – they’re all so beautiful! So it took us a while to decide where we would next call home. But when we arrived in Fulidhoo, we instantly knew we’d found our spot in the world. Here are the reasons it was love at first sight. Fulidhoo may be in Vaavu Atoll, but it’s surprisingly easy to get to. There ‘s a ferry three times a week from Male’ that takes 3.5 hours and a speedboat three times a week that just a little over an hour. There’s no need to take a domestic flight or ridiculously expensive seaplane – just jump on a boat, enjoy the view, and before you know it – you’re here! Another great convenience is that the ferry route stops in Maafushi, another popular local island, so it’s incredibly convenient for travellers to include both islands in their itineraries! Unlike many other atolls, Vaavu Atoll feels remote. There are only two resorts here at the moment and the atoll is famous for having the lowest population in the country. In Fulidhoo, you really can live the desert island dream. The only other islands are far on the horizon – it’s a perfect little retreat! 3. The diving is SPECTACULAR! Ok, so this really should be number 1 on the list! Vaavu Atoll is renowned for its fish life. 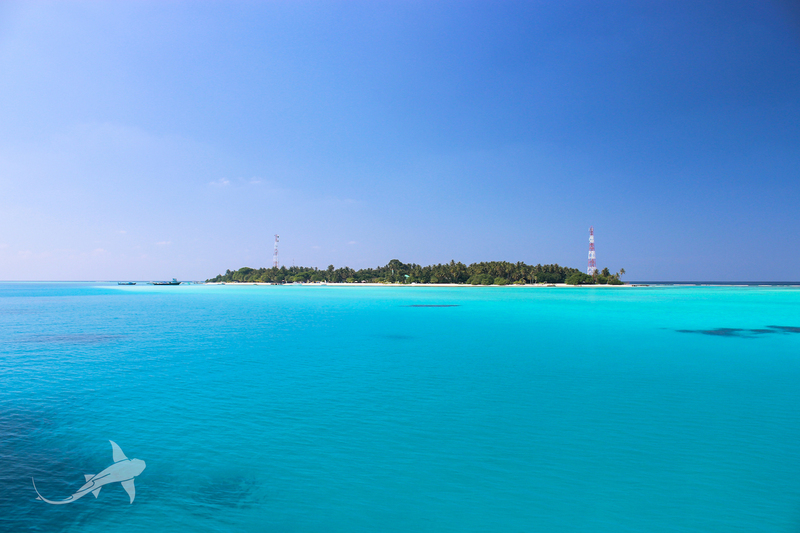 It’s many channels – the entrances and exits to the atoll – make for high-adrenaline, fun diving! We’re talking sharks, sharks, sharks! Grey reef, nurse, black and white tip reef and even hammerhead sharks call this atoll home and if you dive here, it’s likely you’ll have some great encounters. Fulidhoo has an absolutely incredible lagoon, with welcoming temperatures and calm conditions all year round. It’s the perfect place to practice your dive skills and to complete your PADI confined training dives. What’s more, the lagoon is only about 10m from our dive shop, so it’s a great environment to learn in. When we moved to this island to set up the dive shop, we knew very few people here, but we soon felt part of the community. Such a great number of people helped us realise our dream, people that we barely knew, but people who have become valued friends and neighbours. There’s no way we could have opened the dive shop without the outpouring of help from the island. This island is small, but it’s very well organised. There’s a medical clinic with a doctor on call 24/7, convenience and grocery stores, a school, a football pitch, a community centre…. Why would we ever need to go back to the city? When we were planning to open a dive centre, we wanted to make sure that our divers had somewhere great to stay. In Fulidhoo, there are half a dozen gorgeous boutique hotels and guesthouses offering really good value for money accommodation choices. And there are five more under construction, too! Next PostHow to be an eco-friendly scuba diver in the Maldives! Copyright 2016 - Surf & Scuba Maldives Pvt Ltd - All Rights Reserved.